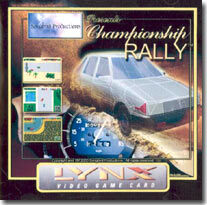 Championship Rally is just what your Lynx needs to roar again! This awesome multi-player overhead racing game will keep you occupied for hours. Powerups and pitfalls on each track! Championship Rally is now in production. Order your copy today!